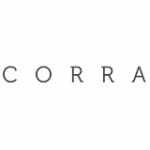 Specifically designed to help brands and retailers in the fashion, footwear, and beauty industries grow and improve sales in the digital space, Corra will sponsor the 2014 WWD Digital Forum on January 29 in Los Angeles. From creating and maintaining a devoted online community to preparing for the next generation of digital savvy shoppers, attendees will have the opportunity to gain tactical hands-on insight through peer-to-peer discussions and strategizing sessions. Stop by our table to learn how you can beat Amazon at its own game.